These are for one of my French relatives... You've gotta have a huge sweet tooth for them! Non, merci! 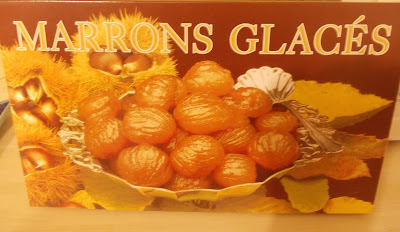 Marrons glacés are basically cooked chestnuts loaded with sugar, corn syrup and preservatives. Talk about a sugar high! !